Flexible work is often held up as a panacea to all our work-related problems—and then quickly pointed at as an unrealistic way to solve those problems. The gender pay gap. A lack of women in leadership positions. Low-paying jobs with unpredictable schedules. The truth is, when it comes to the wide range of problems plaguing our current way of working, a multitude of approaches is needed—and there should be no doubt that flexible work is one of them. In her recent piece in New York Magazine “Flexible Work Hours Would Solve Only One Small Part of the Pay-Gap Problem,” Dayna Evans poses the question, “Could giving workers an option to work wherever they want, whenever they want actually improve productivity?” She concludes (as her title portends) that working this way isn’t an option for everyone, especially people in blue collar jobs—and therefore isn’t a true fix for the gender pay gap. But we shouldn’t discount the ability of flexible work options to be one key piece of the solution. And perhaps more crucially, we have to better understand what flexible work options really are, and then talk about them in relation to other necessary and related solutions. Broaden the definition of flexibility in this way, and it becomes clear that flexible work can be a core component of solutions to issues like the gender pay gap for a much larger segment of the workforce. 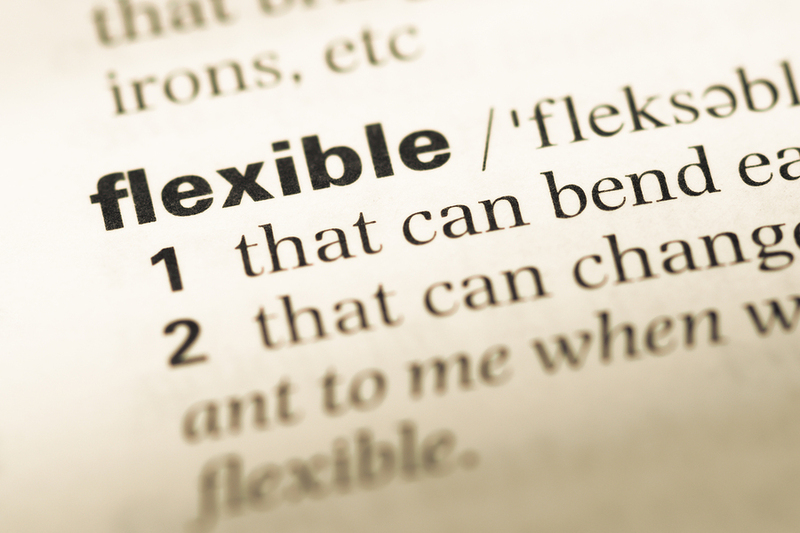 A broader definition of flexible work options is needed in order to fully understand how they might be used to benefit both workers and workplaces. And in order to reap those benefits, we also need to tell our elected officials and business leaders, loudly and often, that we support all of these methods to help build a more equal, fair, and yes, more productive, workforce.